Eagle Creek is an extraordinary master-planned community designed in harmony with nature and family living. Surrounding the championship 18-hole golf course and magnificent New England Manor Clubhouse, distinct neighborhoods provide golf, lake or forest views. Luxury single-family homes, golf villas, and town homes accommodate a variety of lifestyles. Welcome to The Village Walk at Lake Nona...there is a 24 hour manned entry, located in the town center there is a salon, a pet groomer, a business center and retail services. Village Walk is a lifestyle community with events and activities planned to suit residents of all ages. Village Walk by Pulte homes is an upscale Gated Resort Style Community just 2 miles from the new Medical center offering homes from 1,542 -4,107 sq. ft. starting in the $190,00 and going up to the mid $400,000. 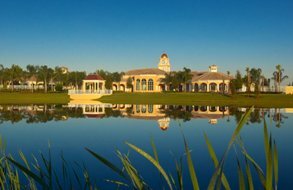 One of the most exciting and inviting private golf and country club communities in the world, Lake Nona Golf and Country Club is a private sanctuary of luxury real estate offering a wealth of world-class amenities nestled along the shores of Lake Nona. Featuring a highly-acclaimed Tom Fazio-designed championship golf course, Clubhouse and Lodge, Bath & Racquet Club and fitness center, this exclusive 600-acre community boasts a splendid array of residences and neighborhoods showcasing the South’s leading custom builders. Click the link below for the latest news! East Park is a premier community, consisting of seven neighborhoods, with entrances off Narcoossee & Moss Park Roads. East Park contains Single Family & Townhomes around the beautiful East Park Lake. It was designed to being neighbors together with its 8 Parks, picnic areas, nature trails, tennis, basketball & vollyball courts. Water's Edge offers a fresh new perspective for well living in East Orlando. This gated community features lake access to prestigious Lake Nona. 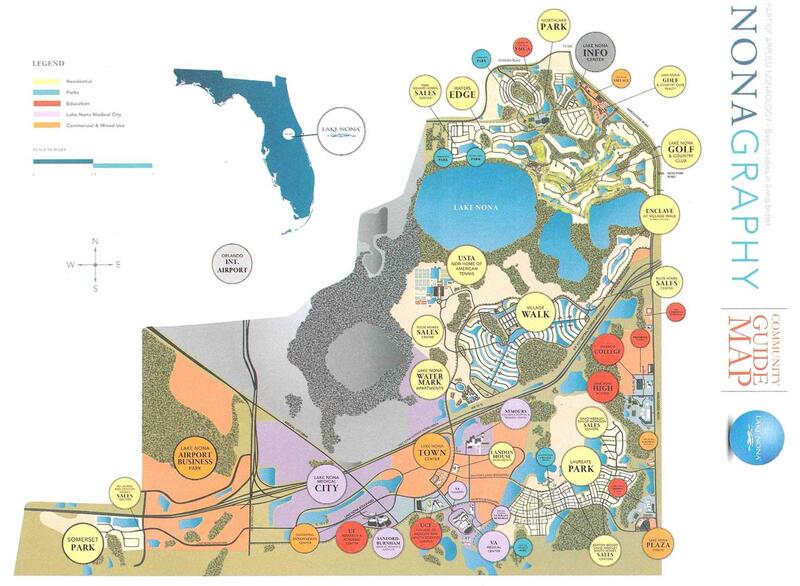 Lake Nona is a 7,000 acre master-planned community encompassing superior schools & numerous parks. Set amoung lush landscaping and pristine lakes, sidewalks connect neighborhoods throughout the community. Laureate Park will be styled like Orlando's neo-traditional Baldwin Park neighborhood. The 2,500 home project will have an average home price of $350,000 & feature narrow lots with back alleys. Homes will feature modern transitional architectural styles and an abundance of intelligent forward-thinking components, this altogether wired-in, future evoking community has some of Orlando's most intelligent minds as it's neighbors. Northlake Park at Lake Nona is a beautiful community located at the beginning of the Lake Nona development. This community features lake access to the 600-acre freshwater Lake Nona, beautiful parks, and playgrounds, and has a walking & biking trail throughout the community. At the heart of the community, is the Northlake Park Community Elementary School that is collocated with the YMCA. The community has colonial & contemporary single family homes and townhomes. The HOA fees include the family membership to the YMCA. Northshore at Lake Hart is a 949-acre master planned community located at beautiful Lake Hart. The community features a heavily landscaped entryway with two large fountains, and 11 acres of park and recreation facilities. Amenities include a pool, tennis and basketball courts, baseball field, boat dock & children's play area.